The new campaign is helping people make a deeper connection with a favorite national park. The new campaign "Find Your Park" is helping people make a deeper connection with a favorite national park, like Channel Islands National Park. THAT DEEPER CONNECTION: If someone were to ask you your favorite Beatles song or your best-loved flower or your must-have type of birthday cake, chances are very, very tiny that you'd wave them away while saying something like "but I love all the cake!" Okay, well, maybe we're kind of wrong on that one -- the majority of us love all the cake. But you're bound to choose one favorite ditty ("Blackbird") and one favorite flower (amaryllis) and one favorite anything among those items and places and works of art you favor. Same goes with the national parks. Of course if you're a nature fan -- and you are, being an earthling, we'll assume, in the way we'll assume you love all the cake -- then you probably love all the national parks in the National Park Service. We get that. We embrace it. But do you find yourself daydreaming of Badlands National Park in South Dakota? Or Montana's Glacier National Park? 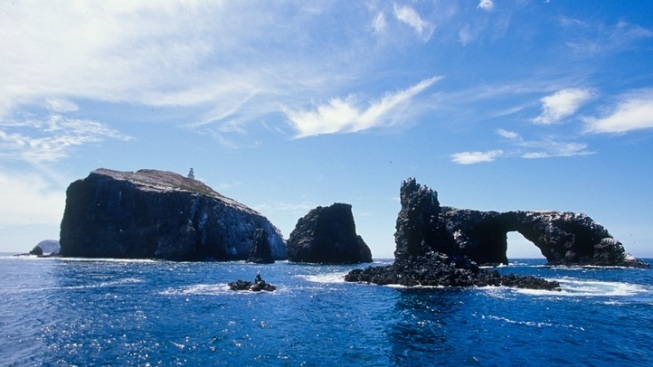 Is Channel Islands National Park your go-to getaway? Okay then: You have a favorite. Embrace that favorite, or favorites, as the case may delightfully be, during the Find Your Park campaign, a new initiative from the National Park Service and National Park Foundation that is "encouraging people to connect with and celebrate our national parks and public lands."